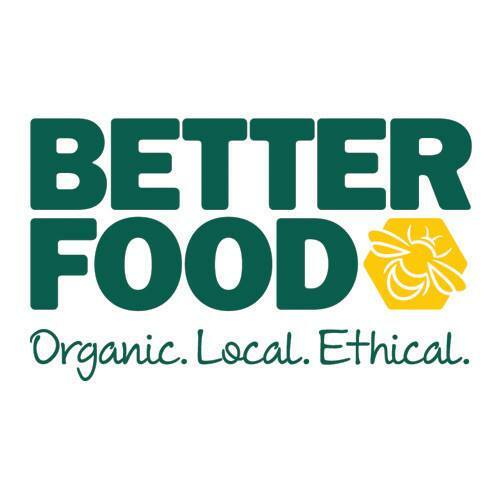 Better Food is creating a fairer food system for all by championing farmers, local producers and small-scale businesses; and paying them a fair price. We stock a large range of free-from foods and vegan products, many of which you won’t find in the supermarket as they are made in small batches. Among our tasty treats and staples you will find coconut yogurt, cashew cheese, Radeks raw chocolate, Booja Booja, Hobb’s House Bread, vegan wine and beer, and organic fruit and veg from The Community Farm. CLICK HERE for a pick of some of our most popular vegan suppliers, though of course you’ll find many more vegan products in-store. Better Food has three stores in Bristol, each with a café and deli counter. Our cafés became the first in England to receive Organic Served Here status, and serve up vegan brunch, lunches, juices and cakes daily. With prices ranging from £3-£7.50, we show that organic, vegan food need not break the bank. The newest shop in the Better Food family is based at Wapping Wharf by the Harbourside. It is in a fantastic location for South Bristolians and those visiting and working in the city center. This store has the added bonus of a sunny outdoor terrace adjoining the café, which is the perfect spot to people watch in the summer. We’d love for you to come in and see what you think. If you have any feedback then please get in touch and please share any photos of the food you purchase or meals you make with our ingredients.